The affordable dentures we offer are plates of artificial teeth that are custom fit and designed to replace any missing natural teeth. You can choose between either a full set or partials. These are not permanent fixtures, which means that they must be removed for cleaning purposes and to effectively maintain good oral hygiene. Who Would Benefit from Our Affordable Dentures in Port St. Lucie? 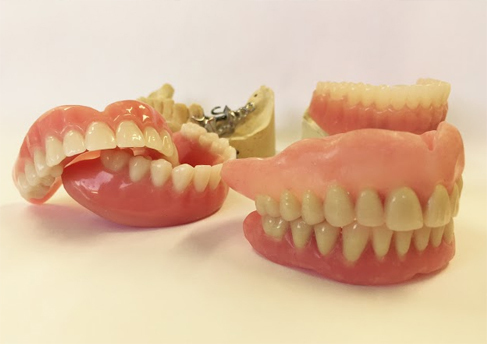 When a person is missing multiple teeth or an entire row, finding affordable dentures can help return your smile as they work to deliver a better facial appearance and restore structure to your mouth. Furthermore, dentures assist with chewing so that you can continue normal eating functions while maintaining adequate nutrition. Finally, they are a replacement option for a person who is struggling with oral health problems like extremely painful teeth or rotted roots. Before dentures can be fit, your dentist will remove all of your problem teeth. Next an impression will be made of your mouth to create a perfect fit. A bite mold will be used to ensure a comfortable fit as well. The molds will be sent to a lab to create the new dentures. You will be asked to select a color that you prefer. When the dentures are ready, they will be fit into your mouth so that your gums are not irritated, and to make sure that the dentures do not easily come loose. It is essential to handle your dentures with care. They should be removed and rinsed after eating, and you should clean your mouth as well. At the end of the day, dentures should be brushed and allowed to soak overnight. You should schedule regular dental checkups to ensure a proper and long-term comfortable fit. If you feel as though dentures would be the answer to your dental challenges, contact Dr. Jade Thomas at Banyan Dental. He has great experience with various cosmetic dentistry procedures and looks forward to helping patients improve their smiles and overall oral health.